Today was the first day in awhile, that I had some spare time to work on some projects. I had planned on sharing a different project, a Lampshade actually, but I had a big craft fail and melted the darn thing with my iron. 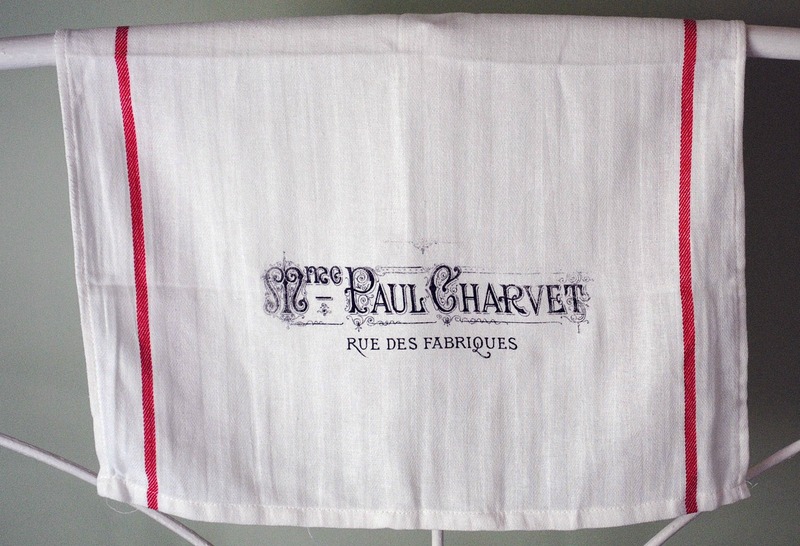 Sooo anyway… you’re getting this French Towel instead. This is the graphic that I used, you can grab the Printable and all it’s versions HERE. This is the Before pic. Just a plain Ikea Dish towel. These are crazy cheap… like less than a dollar I think. I used my favorite Iron on Transfer Paper . It’s called Tap and it’s made by Lesley Riley. As far as I’m concerned it’s the Holy Grail of Transfer Papers!!! It takes less then a minute to iron on the transfer with Tap. Instant satisfaction! Here’s Nanette modeling the towel. Now of course I don’t really need a model to show off a towel but … Nanette insisted … she’s a bit of a ham that one! I really appreciate posts like this, that tell you WHICH products work the best. I’ve never had much luck with transfer papers (although, I have to say the ones I’ve tried were for commercial color copiers). 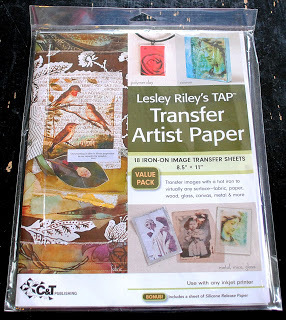 I’m looking forward to trying some transfers at home using my own printer. Love it…it would look fab in my red kitchen! I did trim mine, but you might not have too, it’s nearly invisible. I know what you mean, I’ve had awful luck with other brands, this stuff really is good! Yes, I always grab a handful, every time I go. I want to say they are .59 each. Bargain! Thanks! It was a brand new one too, bummer!! That looks so good. I’ve had disappointing results with iron ons, I ‘m going to try that brand. Thanks for the info. No No Nannette! She looks great in that towel! Thank you so much for your wonderful labels. I am new here but will be back for sure. For now I am of to try my hand at iron on’s, And I will be telling every one about your great site.Thanks you. This turned out great, Karen! I love it! I’m also going to be looking to get that transfer paper. I haven’t been happy with a major brand’s finished look and so haven’t done any in awhile, but seeing yours has inspired me to give transfers another try. Karen this is lovely! A true metamorphosis. 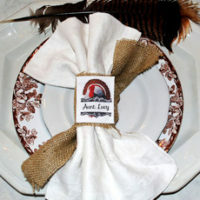 That would make a great hostess gift at Christmas when you end up visiting so many people, it gets expensive! Very elegant towel! 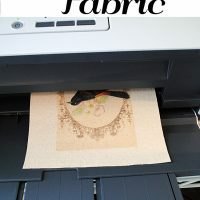 Great to hear about a transfer paper that works – I’m definitely going to try it. Soooo Cute! 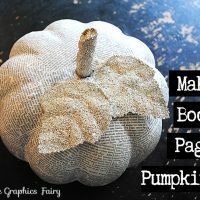 I’d love for you to share this at my Pinkalicious Thursday Party! 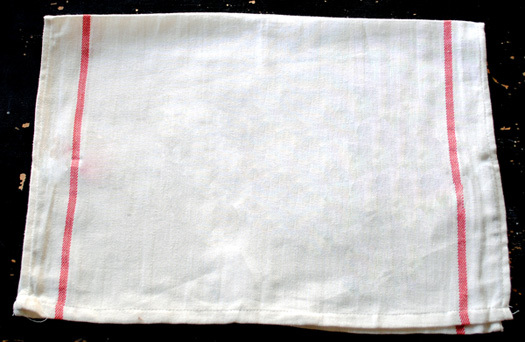 This project is so simple, yet it adds such elegance to a simple towel. One of these days…with the right towel…I’m going to try this. Thanks for the inspiration. I stumbled this, btw. I want you to know, Karen, how much I appreciate all of your hard work and long hours you put in creating these graphics and sharing them with us. You are amazing, girl! I have some of those IKEA towels and just love them. And now I’m going to check at Michaels and Hobby Lobby for TAP, too! Thank you soooo much! 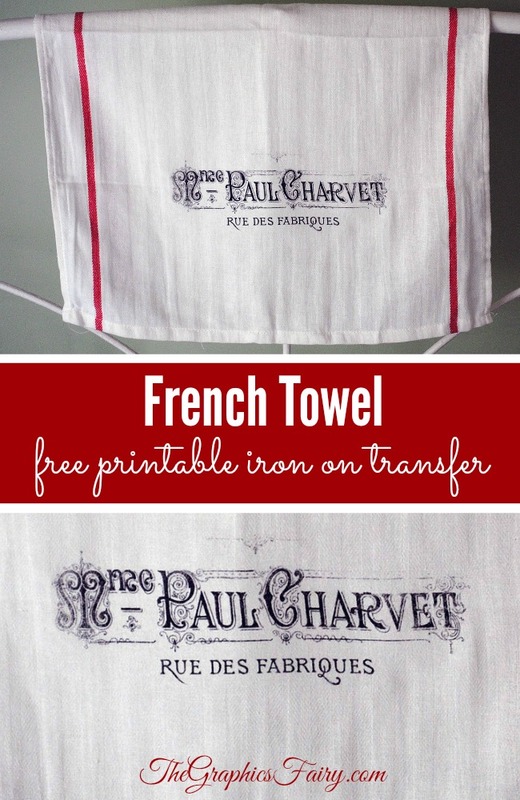 This is fantastic, can the transfers really be washproof to withstand the abuse that it will get as a tea towel? And does the transfer paper work on wood and such like too? ?